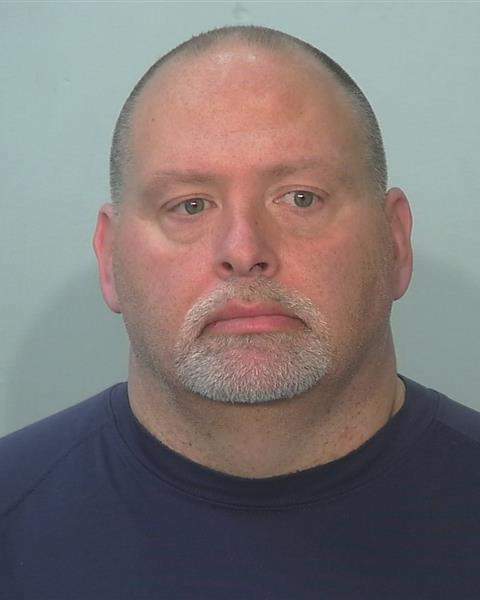 Police arrested the chief of the Poe Community Volunteer Fire Department after he allegedly pushed a woman into a wall and put his hands around her throat. Paul VonBank, 49, of the 7600 block of Hessen Cassel Road, was fighting with the woman Monday morning over a phone when he pushed her, a probable cause affidavit alleges. The woman's daughter witnessed the incident and was told by her mother to run and call police, the document states. Officers arrived to find the victim with bruising around her left eye and a scratch above it. She told police she and VonBank had been arguing over the phone but there was no physical fighting, according to the affidavit. Investigators then talked to the woman's daughter, who told them she saw VonBank "push the victim against the bathroom wall and then put his hands around the victim's throat." VonBank is charged with misdemeanor battery. He posted $750 bail Tuesday and was released from the Allen County Jail, court records show. The location where the incident allegedly occurred is redacted in court documents. He is scheduled to be in court Dec. 21 for a status conference.